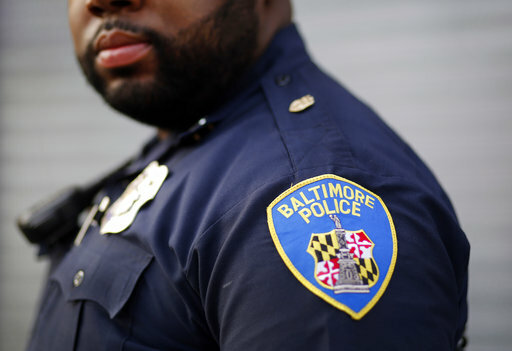 BALTIMORE (AP) — Baltimore officials have told a federal judge they want to move ahead with a plan to overhaul the city’s troubled police department despite a Justice Department request to delay it. The Justice Department on Monday asked the judge overseeing the plan, called a consent decree, to postpone for 90 days a scheduled hearing Thursday. It said more time is needed to see how proposed changes might conflict with the aggressive crime-fighting approach new Attorney General Jeff Sessions favors. City officials also wrote it “strains credulity” to believe the March 31 release of a two-page directive by Sessions “which reiterates long standing principles of federal-local law enforcement collaboration” should necessitate a delay. City officials had previously spoken out against the Justice Department’s request. Police Commissioner Kevin Davis called it “a punch in the gut,” and was clear in his message that both he and the department support a consent decree. A binding agreement with the court, he said, would ensure that crucial reforms to the city’s police department, such as technology updates, increased resources and expanded training, can be implemented quickly and efficiently. But Davis made clear that regardless of what happens, he is committed to reform. Earlier this week, the Justice Department had announced that it intends to review and assess all existing consent decrees to determine whether they will hamper efforts to fight violent crime in those cities. In Baltimore, the homicide rate began to climb after the death of 25-year-old Freddie Gray in police custody prompted civil unrest in 2015. Davis has said that to effectively fight violent crime, a department must build trust and positive relationships with communities in the city. Actively participating in a consent decree, he said, will help bolster faith in that process. Gray’s death was a flashpoint that prompted the Justice Department to launch an investigation into allegations of widespread misconduct within the police department that included excessive force, unlawful stops and discriminatory practices. Last year the Justice Department released a scathing report detailing such abuses. In January, the city and the Justice Department announced that they’d reached an agreement to overhaul the police department. Recommendations included enhancing training efforts, increasing accountability and forbidding officers from stopping residents simply because they are in high-crime areas. Davis said he’s already begun implementing reforms: officers are now outfitted with body cameras, the use-of-force policy has been updated and officers are required to undergo twice as many training hours as required at the state level. Baltimore Mayor Catherine Pugh also has pledged support for the proposed agreement. She added that she doesn’t see the Justice Department’s request for a postponement as any indication that it intends to back out of the agreement. But regardless of the federal government’s participation, she said, the city and police will continue work to repair shattered trust between law enforcement and the community. “I’m asking the citizens of Baltimore to have faith that we will continue this work, because we do think it’s important and we do want to transform the police department and we do want to make sure we’re operating at the highest level,” she said.